If you’re serious about hiring a professional writer or ghostwriter to write a memoir, nonfiction book or fiction (novel, novella or short-story) for you… invest a couple of minutes and read the information on this page. If you’re interested in commercial or personal writing services (we offer several to businesses, organizations, and individuals), click here. Information on book writing and ghostwriting services follow below. Nonfiction and memoirs are easy compared to writing a complex novel. This comment (above) comes from a client regarding their 158,383-word novel. Richard–a retired CIA officer–is one of our nonfiction (memoir) clients who commented when he saw Ward Sanford’s testimonial at LinkedIn. 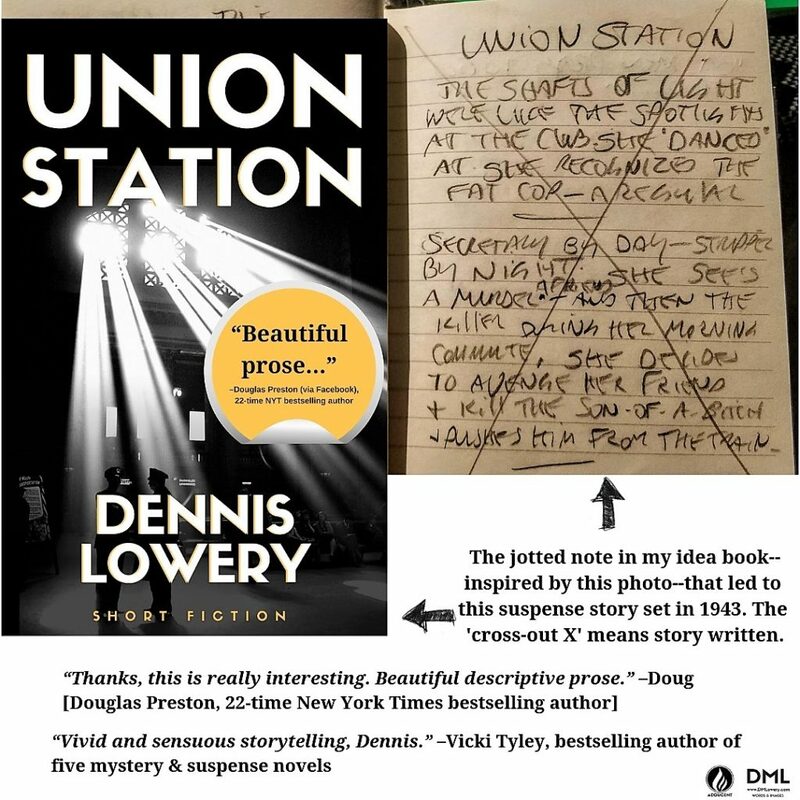 That writing and story & book development experience along with what I’ve seen, heard, done and learned in my 41 years of adult life, work and travel (business and military) blends with an ability to write compelling prose. I have worked with clients from New Haven, Connecticut to Miami, Florida… Chicago, Illinois to Houston, Texas… from Seattle, Washington to San Diego, California… and cities and states in between. And internationally with clients in Canada, the United Kingdom, Oman, India, Vietnam, Hong Kong, South Korea, Japan, and New Zealand. See reader and client comments here. 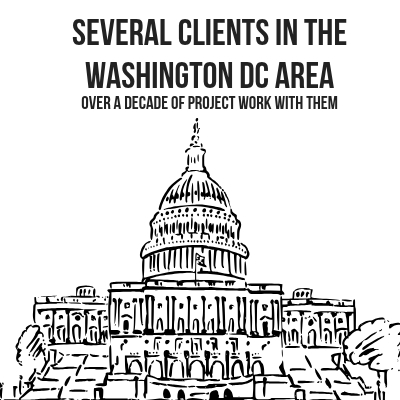 Since 2009 I’ve worked with many clients in the Mid-Atlantic region and each year have active projects there. Along with helping clients in metropolitan New York City, Dallas, Phoenix and San Francisco on their multiple projects. The cost of hiring a writer or ghostwriter varies… my fees are reasonable — not the cheapest, not the highest — as defined by the Writer’s Market guide. A professional writer and book developer with my experience and skill is not cheap, but you’ll get more than you pay for. You’ll find my rates further below on this page. My clients own all rights to the work I create for them and can present to an agent, publisher or use for self-publication. Or we can discuss providing publishing services for their book, whether a private publication or for commercial sale through booksellers like Amazon, Barnes & Noble, Books-A-Million and independent bookstores. What you want to do to make your book reality is not an unusual approach. According to a New York Times article, “On any given week, up to half of the books or more on any nonfiction bestseller list are written, or the author was assisted, by someone other than the prominent name shown on the book (the author).” This is also becoming increasingly so for many novels and works of fiction (I have ghostwritten several for clients). The reason is simple. Not everyone has the time to sit down and write a book. And not every person with great experience, knowledge, information, and stories to share is a skilled writer or experienced in taking all the pieces and putting them into a cohesive and congruent narrative. That’s where a ghostwriter, such as me, comes in. Click on this and you can scroll through and read over 30,000 words from readers and clients about my work. Their comments cover fiction (historical, suspense, adventure, science fiction, fantasy) and nonfiction (memoirs, business, military history, career, self-education). 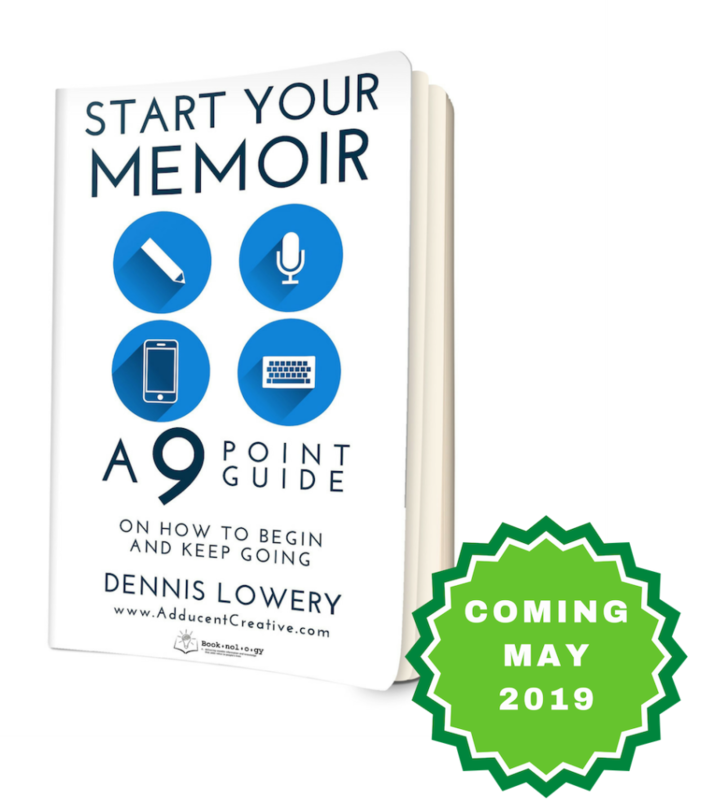 If you’re interested in a free copy (while available) of my Start Your Memoir | A 9-Point Guide On How to Begin and Keep Going, please contact us and put SYM-Free-Guide in the subject line of your email. It will be delivered when the guide is released in May. “As usual, it was extremely well written. I, as I am sure was true for most readers, felt your detailed descriptions enabled me to picture a scene in my mind as if I was actually watching a movie! You very effectively kept the reader on seat’s edge in the final pages of the story, wondering how everything would play out. And the ending with – DELETED SPOILER PART OF THE COMMMENT– was an absolutely brilliant touch on how to bring the whole story to closure.” –Jim Zumwalt. James G. Zumwalt is the international bestselling author of Bare Feet ~ Iron Will – Stories from the Other Side of Vietnam’s Battlefields, The Juche Lie | North Korea’s Kim Dynasty and Doomsday Iran: The Clock is Ticking. Adducent (my company) is not an agency. I work directly with my writing, ghostwriting and publishing services clients. Here are the types of client’s I’ve worked with. For busy professionals, those who travel frequently or clients I work with from a distance, I also offer a unique Client Dictation System so they can call (24 hours a day / 7 days a week / 365 days a year) and tell me what they want to share in their story. I then further develop (in collaboration with them) and write it as a finished work that meets their objective. Here’s a Frequently Asked Questions (FAQ) page with answers. Here’s a comparison (and explanation) of Creative Nonfiction & Nonfiction (an important distinction for those interested in writing their memoir or an autobiography). Here’s an example of creative nonfiction. 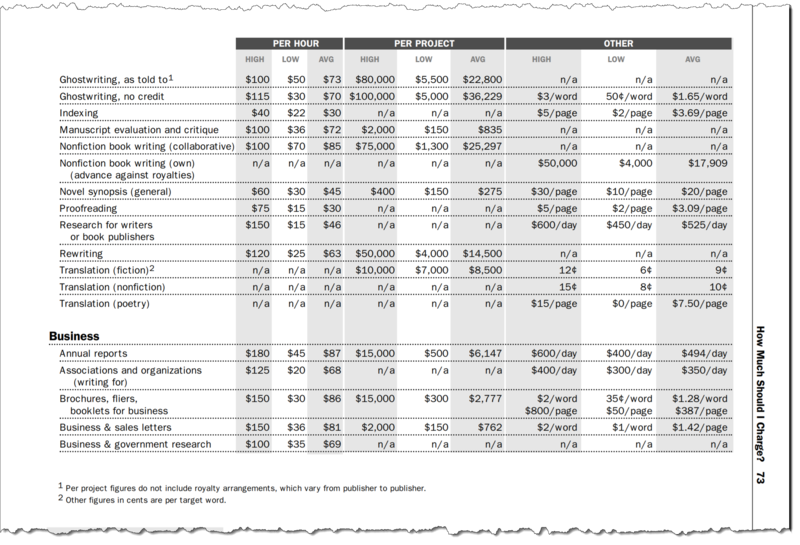 The cost of hiring a writer or ghostwriter varies… my fees are reasonable (defined by the Writer’s Market guide, see the top of page 73 in that guide). My rates are further below. Important Note: As a professional writer for hire and ghostwriter I’ve worked on many types of writing projects (large and small). And there are many great stories to be written, but I only take on projects with clients who can afford my fee (which is paid in installments). I do not work on projects where payment is based on book sales or royalties. I am very good at what I do, but don’t just take my word. 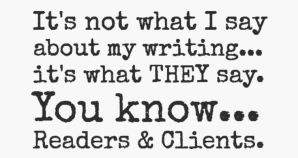 See reader and client comments here (over 32,000 words of them as of February 2019). There are a lot of writers out there but when you factor in overall experience, knowledge, capability, and professionalism (responsiveness, work ethic and reliability)… the field of choices narrows dramatically. And that is where a discerning person finds the right professional for their book project. Many have found me (and my company) to be their preferred solution for writing assistance, story & book development, and publishing services. I’m based in Florida, travel as may be required for projects, and have clients across America and internationally. I’ve traveled to 48 of the United States and 36 countries (with more to come) and visited several World Heritage Sites of special cultural, historical or physical significance. I’ve worked with four clients whose native language is other than English. 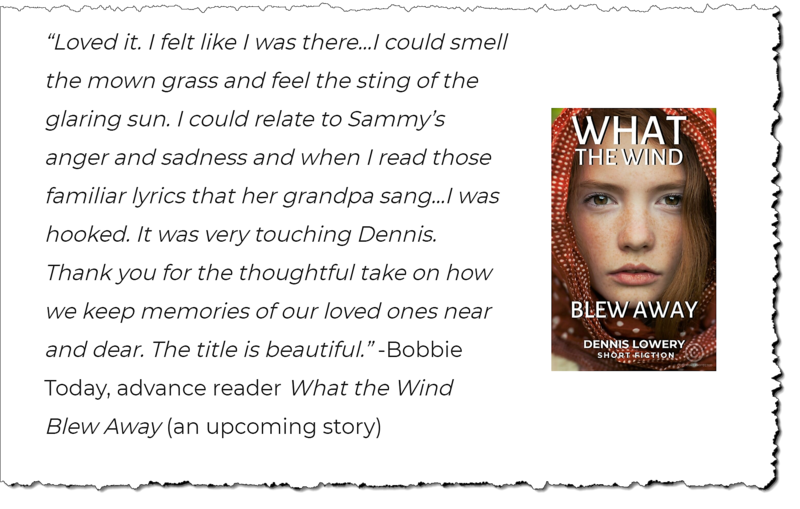 This poses special challenges to writers and ghostwriters, but again, breadth of experience helps: I turned their stories into readable and compelling books. I’ve given talks across the United States and internationally in Toronto, London and in Muscat, Oman on writing, publishing and the importance and impact of stories on individuals and cultures. I’m a veteran of the United States Navy, a member of the Military Writers Society of America, the Historical Novel Society, and The Authors Guild. Working with materials the client provides (drafts, transcripts, dissertations, records, journals, notes, photos, letters, audio recordings, dictation audio or transcripts, etc. ), if available. Interviews and conference calls with the client as needed for the planning, writing, rewriting and manuscript development. A convenient and flexible means to verbally provide information and details required for their project through our Client Dictation Services system. We set up a unique phone number for the client (private and exclusively for their use), so they can at any time, from anywhere they have phone service, call in and dictate their information directly from their phone. Then we download the file from each session to transcribe for use in developing the client’s manuscript. Meeting with the client (at coordinated times and places or at the site of significant events and locations for their story, etc.) as needed for the development and writing of their story. Important Note: This is not always a necessity. I work with clients—virtually—across the United States and internationally. NONFICTION – Varies and can range from info products, social media and articles of as little as 500 words to full-scope books of 50,000 words or more. VIGNETTES / MEMOIRS – Varies and can range from 500 words to 100,000 words plus. *IMPORTANT: The precise rate per word and pricing of projects depends on many factors such as existing (source) materials available to work with: e.g. outline (if one exists) and level of detail, depth of concept, drafts, notes, diaries, journals, blog posts, published articles or research, etc.). Whether the project is nonfiction or fiction. Delivery timeframe. And ghostwriter attribution or non-attribution. Have questions or are you ready to find out more? Contact me today for a free quote! Learn More. As standalone projects–not linked to my book ghostwriting–by the end of 2019, I will also offer Screenplay, Treatment, and Scriptment writing services for clients. 1562: (my new novel—publishing 2020—‘The Company of Masters,’ is partly in that year, to set the story universe foundation in book one of a trilogy, and in 2019).